Although Obsessive Compulsive Disorder, aka OCD, has now entered common usage as shorthand for caring about doing or having things a certain way, true OCD can be very distressing and may interfere with a person’s ability to live a normal life. If you do have OCD, evaluation research shows that a psychological treatment program often helps improve symptoms and that the effects may be long-lasting. Compulsive hand-washing or hand sanitiser use is so prevalent in OCD that “washers” has become a widely accepted category of OCD patient. The urge commonly stems from a fear of germs (the most common obsession seen in OCD), but it also can be rooted in fears of making others sick or of being impure or immoral. When to seek help: If you think about germs even after washing your hands, worry that you’re not scrubbing well enough, or have irrational fears about disease (such as getting HIV from a shopping cart), it could be a sign that your hand-washing is compulsive. Elaborate hand-washing routines — needing to wash five times and get soap under each nail, for example —are another warning sign. So-called checking behaviors — returning three, four, or even 20 times to make sure the oven is off or the front door is locked — are the most common compulsions associated with OCD, affecting nearly 30% of people with the disorder. Like other compulsive behaviors, checking can be driven by a variety of obsessions, ranging from a fear of getting hurt to deep-seated feelings of irresponsibility. When to seek help: It’s normal to double-check something once in a while. But if checking interferes with your daily life (by making you late for work, say), or becomes a ritual that you can’t do without, it could be a sign of OCD. People with OCD who fall into the “washers” category also tend to clean compulsively. As with hand-washing, housecleaning is often a way of easing phobia about germs or feelings of impurity. Although cleaning can help chase these obsessive thoughts away, the relief does not last, and the urge to clean is often even stronger the next time. 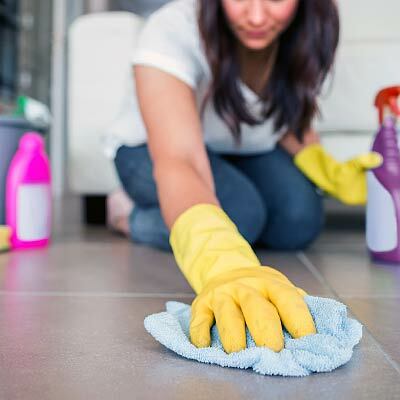 When to seek help: If you spend hours a day cleaning, it’s almost certainly related to OCD. It’s harder to know if cleaning for an hour a day could be a sign of OCD. It’s really the consequence of stopping that matters – if someone with OCD doesn’t clean, they get terribly anxious and fearful. If this sounds like you, you may have OCD. Some people with OCD perform tasks according to a certain numeric pattern or count to themselves as they do everyday things (such as climbing stairs or cleaning). These behaviors may be driven by superstitions. For instance, a belief that the number seven is good may lead someone to feel that they’ll hurt themselves or someone else if they don’t take seven steps at a time. When to seek help: If your counting behaviours are disrupting your ability to lead a fulfilling and satisfying life (e.g., are disrupting your work or relationships, or are costing you all of your spare time), it may be time to consult a psychologist. People with OCD can take organising to the level of perfectionism. “It has to feel just right, look just right, be symmetrical,be the right number [of items],” Szymanski says. This fussiness is often driven by obsessions about order and symmetry. When to seek help: You may be neat and organised and like things a certain way, but it is out of preference. OCD enters in when “want to” becomes “have to”. 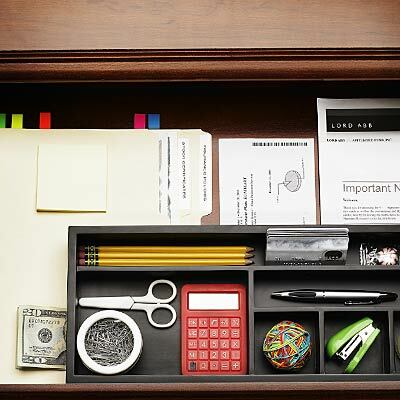 Some people enjoy a tidy desk and find it helpful, whereas people with OCD may not necessarily want to organise their desk, but feel they must, in order to relieve their anxiety. When to seek help: If unwanted sexual thoughts are causing you distress. Changing your behavior as a result of these thought — avoiding friends or a coworker you’ve thought about sexually, for instance — is another red flag. When to seek help: Breaking up with a girlfriend or boyfriend, or having a disagreement with someone, can make anyone ‘obsess’ a little bit, whether or not they have OCD. But it may be a sign of OCD if thoughts like this get stuck in your head and snowball into excessive self-doubt or fears of being a bad person. One way people with OCD try to soothe their anxiety is by asking for the opinion of their friends and family. If they’re concerned they embarrassed themselves at a party, for instance, they may repeatedly ask a friend to replay the incident. Asking friends to weigh in (“Does my house seem dirty to you?”) can also be a strategy for avoiding compulsive behaviors. When to seek help: Everyone uses their friends as a sounding board, but if you catch yourself repeating the same question over and over — or if your friend points this out — it could signal OCD. What’s more, the reassurance you get from loved ones could be enabling your obsessiveness. Body dysmorphic disorder (BDD) is a condition related to OCD in which people fixate on a part of their body they consider abnormal or unattractive — often their nose, skin, or hair. (Unlike eating disorders, BDD doesn’t involve a focus on weight or diet changes.) The obsessive thoughts associated with BDD are very similar to those seen in OCD. Many people with BDD also have OCD and worry about the cleanliness of their body in addition to how it looks. When to seek help: It’s normal to dislike some aspects of your bodily features. But people with BDD may spend hours a day checking the mirror or thinking about their body, to the extent that it disrupts their daily life.